"I want to do? work that expresses my character", says Nobuyasu Takai, third generation head of Sakuzan. He speaks as though the studio itself were a living artist. At Sakuzan, potters use over one hundred different glazes on?fourteen types of clays with three different methods for firing, creating products?of real character and beauty. This knowledge is implemented ?in the hiiro series, which reveals the 'flame color'?of the clay exposed to flame. Normally, this is hidden behind the glaze. 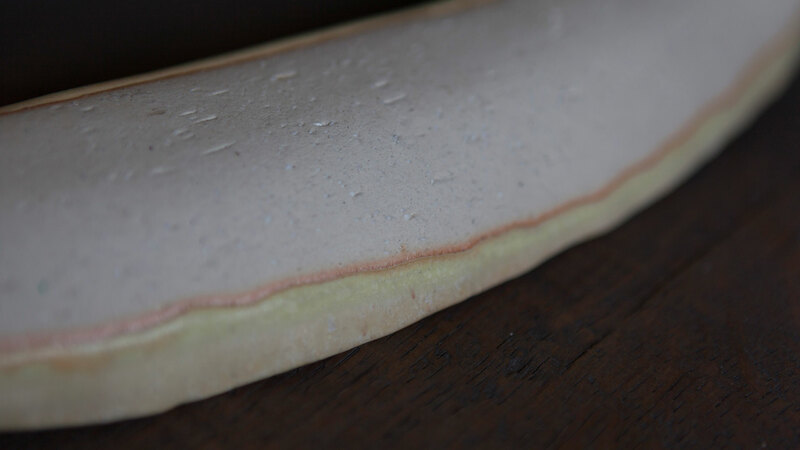 The beauty of this natural hue is only attainable with the soft clay and matte glaze used at Sakuzan. After studying at art college, Nobuyasu took over the company founded by his grandfather 43 years prior. He vowed to "create works with a sense of pride". After re-naming the company Sakuzan Gama, he proceeded to develop a unique style of pottery, making a name for himself in an area known for OEM. Work at Sakuzan is still conducted almost exclusively by hand. Their artisans take into account weather, humidity, atmospheric pressure and the viscosity of the clay to create products of consistent quality. Pottery is influenced by nature, from the glaze colors that can change day to day, to kiln and chimney performance, which are affected by atmospheric pressure. 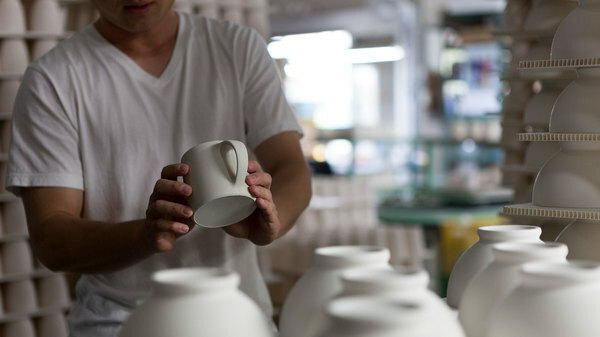 Many ceramic studios attempt to shut out these environmental factors with thick walls, but Sakuzan have opted for an open studio with plenty of natural light, creating a space that artisans enjoy working in. The sunrise color of the hiiro series reflects the proximity of the artisans' work environment to nature. The open, sunny studio is clearly conducive to the creation of elegant products such as these. 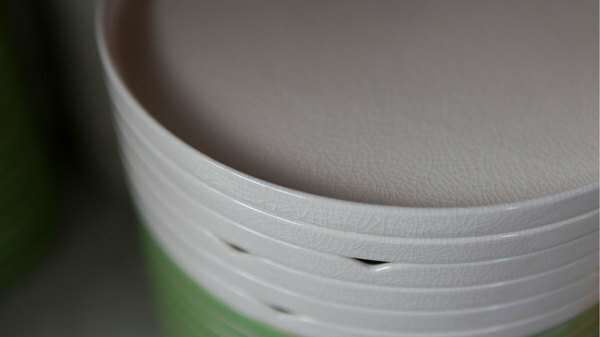 hiiro is made with richly textured clay to create a Japanese feel, and finished with matte glaze. Three color variations conjure images of the sky with white clouds, blue sky and yellow moon.